She is incurable ill. But she cannnot die. Only her son, a lawyer, could bring her relief. When he decides, to do so, starts his personal nightmare. A man tries to explain to his psychiatrist that the Boogeyman is real and has been killing his children. A couple passing through a small Oklahoma town discover that it has been taken over by a homicidal cult that worships a crow god--and that all the cult members are children. 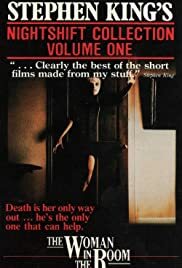 Compilation of five horror stories from _"Tales from the Darkside" (1983)_ that takes the viewer into the dark world of vampires, cursed objects and sinister humor. Despite the title, only the final story is by Stephen King. A night at the movies turns into a nightmare when Michael and his date are attacked by a hoard of bloodthirsty zombies - only a "Thriller" can save them now.